Soon after the launch of the iPhone 5, reports surfaced about how easily the handset's aluminum back could get scratched, which included some customers finding their unit in this condition right after being taken out of the box. While the aluminum back on Apple's latest smartphone is an overall improvement from the glass on previous iPhone 4 and 4S models, customers have discovered the soft metal is generally more susceptible to everyday wear and tear. Apple Senior Vice-President of Worldwide Marketing Phillip W. Schiller confirmed this when he respond to an iPhone 5 user's email inquiry, saying the company considered this "normal." What isn't normal is opening the box to find an iPhone 5 that's already received scratches from the factory, a problem Apple appears to be working with manufacturer Foxconn to address. 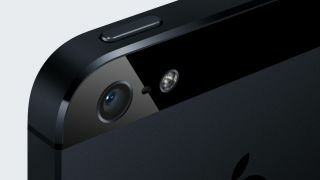 According to a report published on Wednesday, manufacturer Foxconn is now conducting stricter inspections of its iPhone 5 assembly line. The move is aimed at reducing the number of scratched iPhone 5 handsets, which get boxed up and shipped from the factory. But it's proving to be a slow process. Apple requested the slowdown to address customer concerns, which is said to be costing the company both time and money at a time when Cupertino is already struggling to meet demand on its sixth-generation iPhone. As a result of the slowdown, analysts at RBC Capital Markets have already reduced their iPhone 5 sales estimates from 57 million to 49 million. Apple and Foxconn both declined to comment on the report.